Named as one of the leading bankruptcy and restructuring attorneys in Pennsylvania by Chambers USA, Michael has developed a renowned bankruptcy practice focusing on both litigation and transactional matters. His background as a commercial litigator enables him to provide clients with a holistic approach to their most sensitive issues. Michael represents debtors, creditors’ committees and others involved in the restructuring or liquidation of insolvent businesses, in the purchase of assets from insolvent businesses and in structuring transactions with businesses in financial distress. He has handled matters for clients in a variety of industries. Michael also has extensive experience in the areas of legal ethics and professional responsibility. Attorneys both within Fox and outside of the firm turn to Michael for his counseling on a range of issues including conflicts, organization as a client and confidentiality. He previously served as the co-chair of the Pennsylvania Bar Association Committee on Legal Ethics and Professional Responsibility and as the chair of the Philadelphia Bar Association Committee on Professional Responsibility. He remains an active member of both committees. 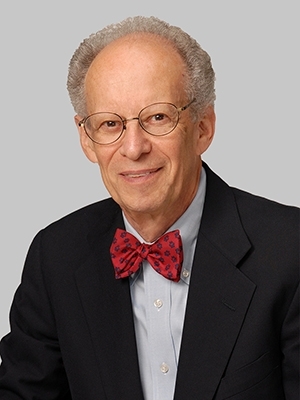 Michael served as Ethics Counsel to the Pennsylvania Bar Association Committee prior to the employment of current counsel. In addition, he serves as a co-editor and author of the Pennsylvania Ethics Handbook, now into its fourth edition. Michael has participated in many CLE programs on bankruptcy and on ethics and has served as an expert witness in both disciplines. Michael was an associate, a partner and Of Counsel at WolfBlock LLP in its Litigation and Financial Services Groups. Michael is an Adjunct Professor at the University of Pennsylvania Law School where he teaches a course on Chapter 11. He is a Fellow of the American College of Bankruptcy, and was the Scholar in Residence from 2005-2009 and a Regent from 1997-2003.